Item is a photographic postcard of Beinn Bhreagh, the summer residence of Alexander Graham Bell. Item is a photograph of Beinn Bhreagh, the home of Alexander Graham Bell. Item is a photograph of Beinn Bhreagh, Baddeck, the home of Alexander Graham Bell. 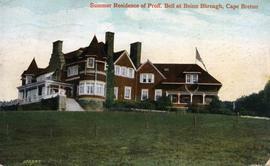 Item is a postcard of Beinn Breagh, the Baddeck home of Alexander Graham Bell. 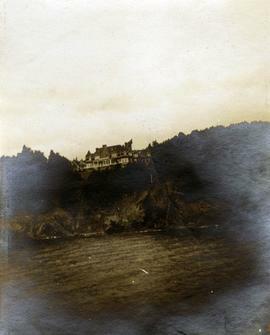 Item is a photograph of Beinn Bhreagh, the home of Alexander Graham Bell in Baddeck.